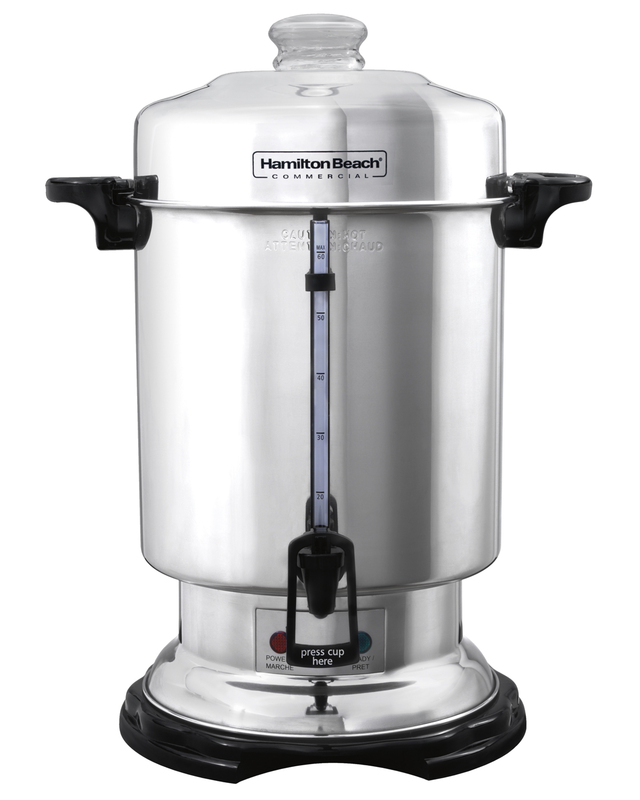 The Hamilton Beach Commercial® 60 cup coffee urn is designed to have all the elements for proper brewing to make the perfect quantity of coffee for any catering event. 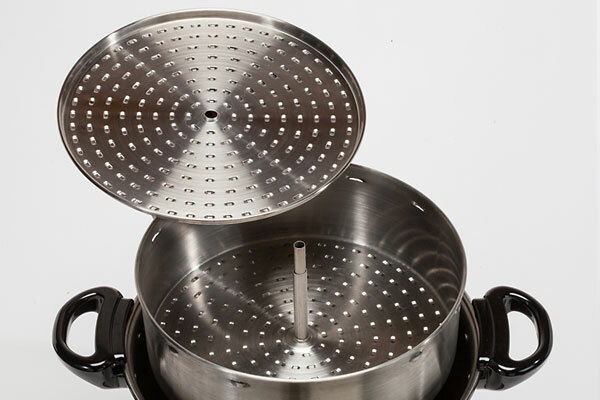 Durable, rust resistant, and easy to clean. 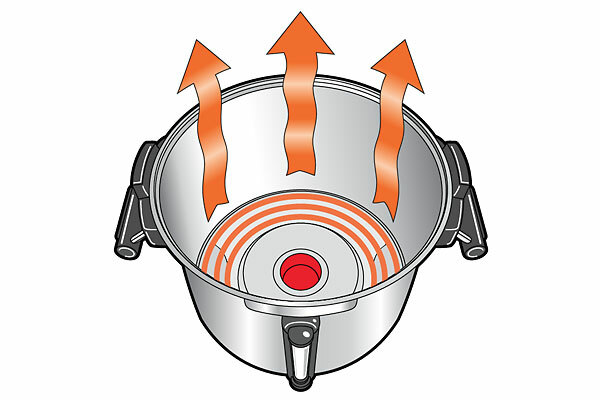 Center heater brews coffee, then shuts off. 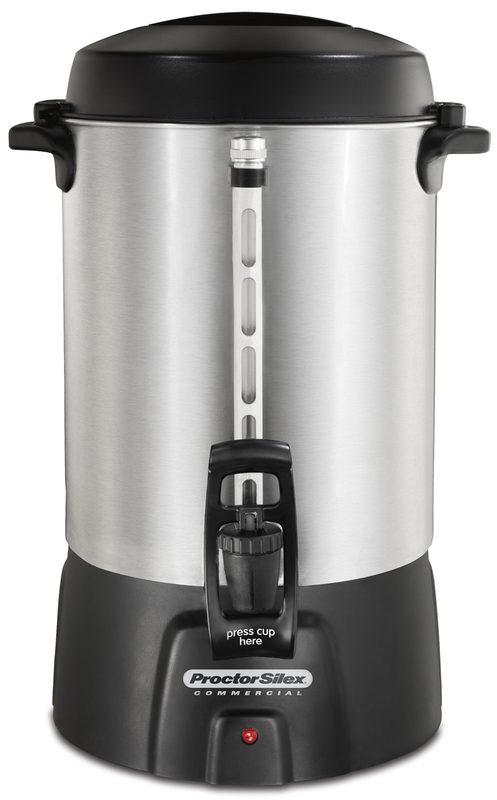 Gentle warming heater keeps coffee at a constant serving temperature without overcooking it. 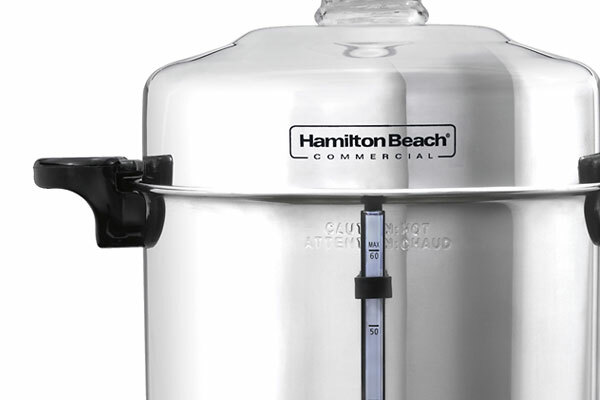 When the water in the tank has boiled away, the unit shuts off automatically. 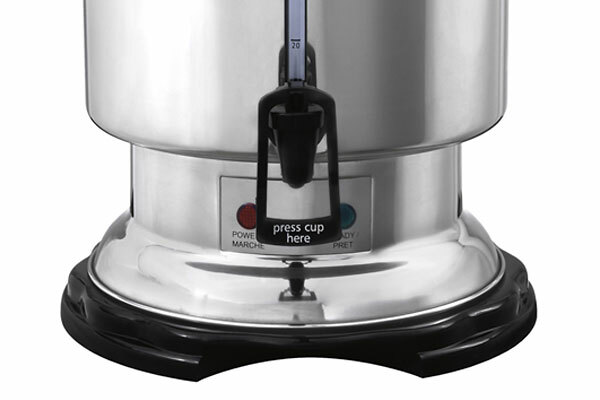 Red indicator light shows that the urn is plugged in, and the green indicator light illuminates on the front panel when the brew cycle is complete. 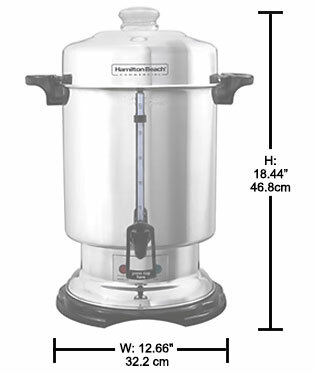 Allows for freedom of movement while filling up your coffee cup, delivering fast, superior service. 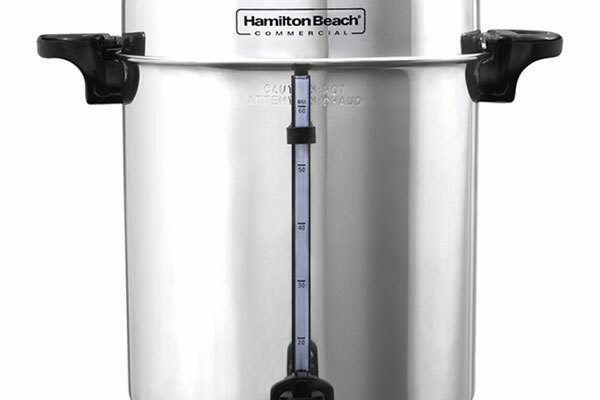 The water/coffee window makes filling easy and shows you at a glance when coffee level is low. 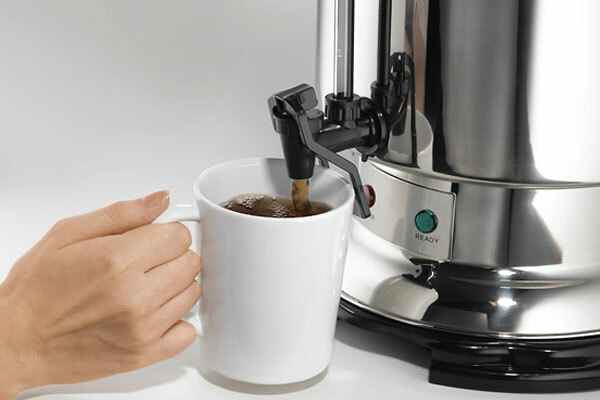 The coffee level tube is easy to remove for cleaning and the metal cover holds the coffee tube in place for easy viewing. 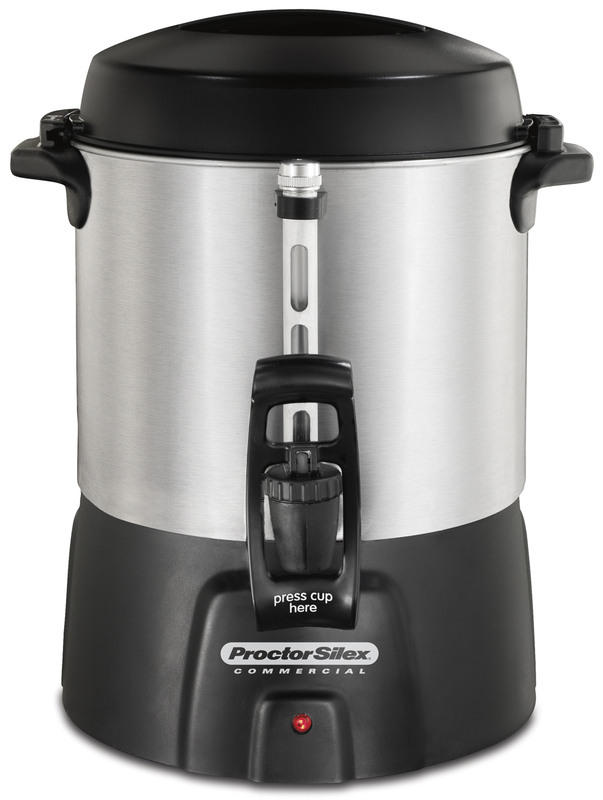 Wetting the stainless steel coffee filter before filling with coffee grounds prevents the coffee grounds from slipping through the coffee filter. Paper coffee filters are not required. 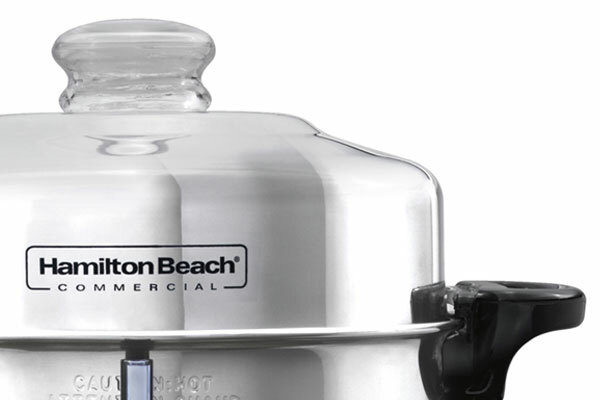 Easily movable with cool-touch, heavy-duty plastic handles for portability.